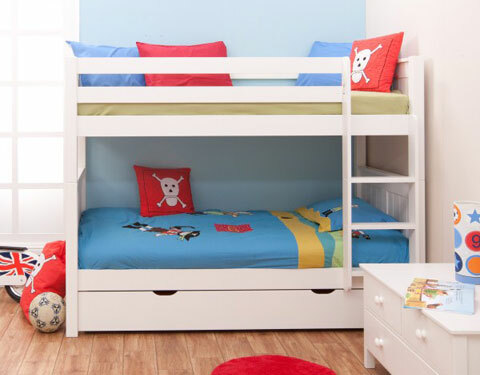 This sturdy bunk bed converts into two comfortable single beds. 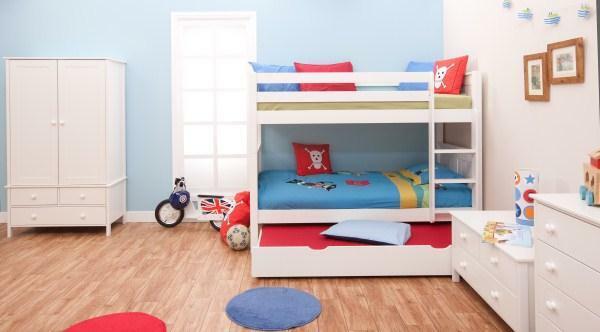 It can easily be adapted to suit a boy's or a girl's bedroom. 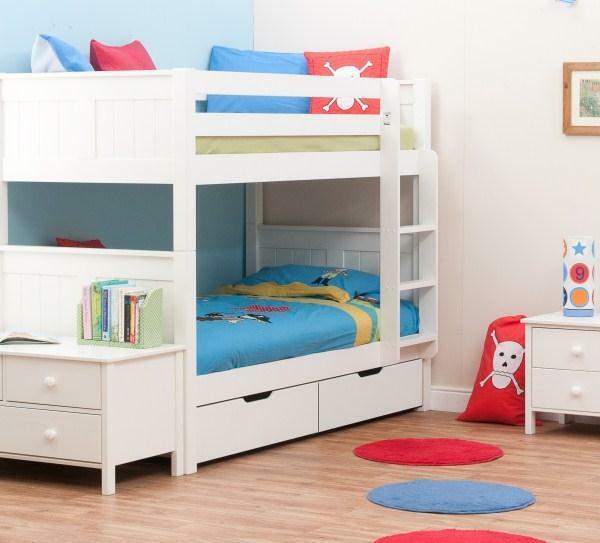 Its has attractive tongue and groove details in the headboards and footboards. Made from solid pine and crafted with traditional techniques guaranteeing a hardwearing frame. 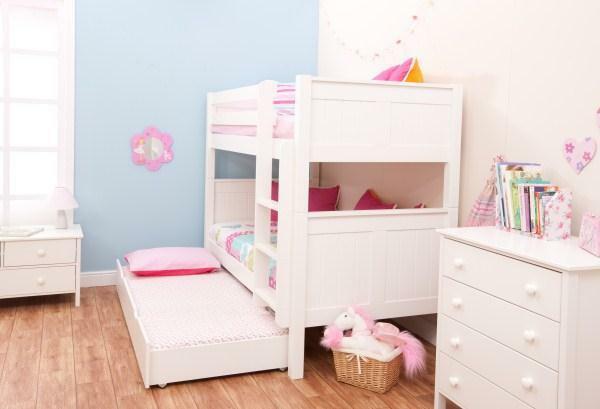 Wonderful space saving bed which can be made even more complete by adding two single drawers underneath for storage of toys and extra bedding. 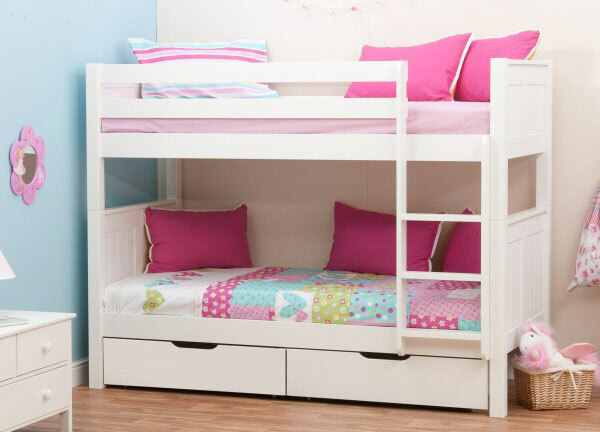 Alternatively add our trundle bed so that you can have friends over for sleep overs - within seconds you have 3 beds in 1 bed. A very strong bed built to last a life time. 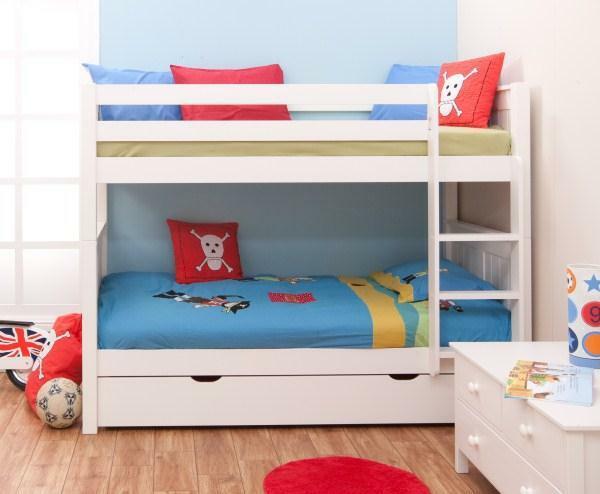 Includes Classic Bunk Bed Frame. 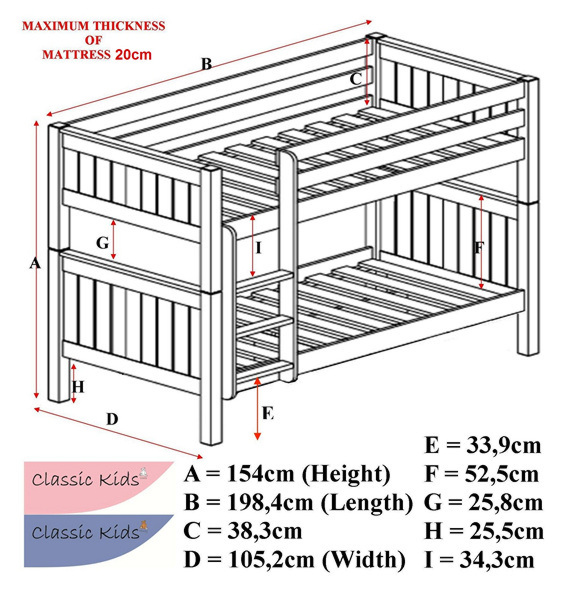 Bunk Bed Frame including wooden slats H1540xW1052xL1984mm. Recommended min age 6yrs for sleeping in top bunk. Converts Easily into 2 Single Beds. Ladder can be fitted either side. Safe and comfy flat steps on ladder. Clearance between lower and upper slats is 827mm. 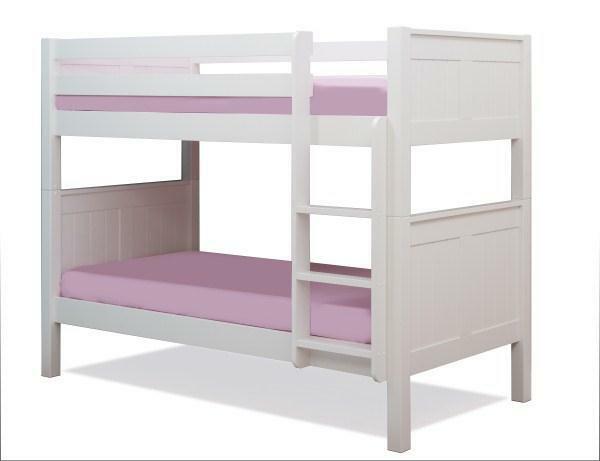 To view the technical line drawing specifications for the Classic Kids Bunk Bed White please click on the following link.